(Seaside, Oregon) – A famed Oregon filmmaker and a rising star in the mystery novel genre are making a splash on the north Oregon coast this week, with two events that spell intrigue and the spellbinding. 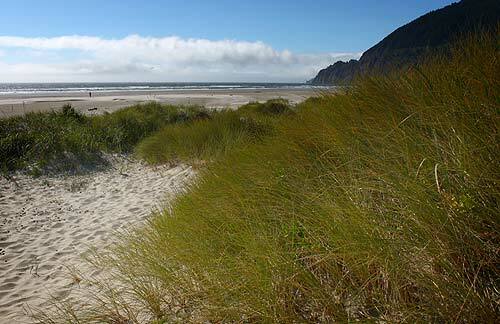 Manzanita boasts an appearance by a major name in Oregon’s film scene, while Tillamook’s history museum features a mystery writer who has done some inserting of these beach towns into her novels. (Above: Rockaway Beach, where one writer's mystery novels are inspired from). Portland filmmaker Kelley Baker is on display in the north Oregon coast town of Manzanita on July 27. The Hoffman Center for the Arts features a set of his short films that night, and Baker will be there to talk about his work and answer questions. The presentation happens at 7:30 p.m. Admission will be $5. Baker is an Oregon native who graduated from the University of Southern California film school, only to return home later. He has written and directed three full-length features: Birddog, The Gas Café, and Kicking Bird, along with eight short films and several documentaries. His works have aired on PBS, Canadian and Australian television, and have been shown at film festivals, including London, Sydney, Annecy, Sao Paulo, Sundance, Chicago, Aspen, Mill Valley, and Edinburgh. He is also the author of three books: The Angry Filmmaker Survival Guide, Road Dog and Parts One and Two. Baker is also know for his work with other filmmakers, including being the sound designer on six of Gus Van Sant’s feature films, including My Own Private Idaho, Good Will Hunting, and Finding Forrester. Hoffman Center for the Arts. 594 Laneda Avenue. 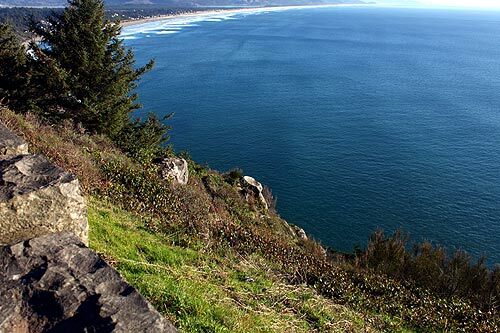 Manzanita, Oregon. 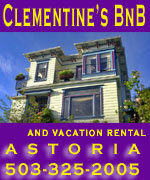 (503) 368-3846. hoffmanarts.org. 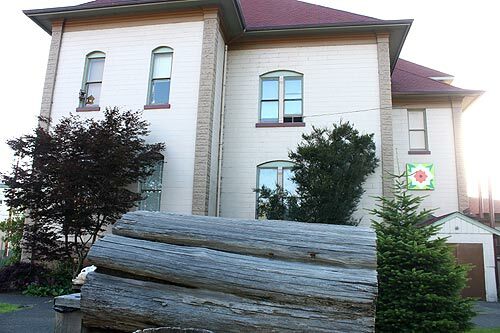 At 3 p.m. on Saturday, July 28, the Tillamook County Pioneer Museum brings in the famed author of two mystery novels set on the Oregon coast. Katherine Bolger Hyde (at right) recently penned "Bloodstains with Bronte," the second in her Crime with the Classics series that takes place in this region. Both are set in the semi-fictional town of Stoney Beach, a place strikingly similar to Rockaway Beach. Katherine's first book about Stoney Beach was "Arsenic with Austen" and was such a hit Katherine had to return to Rockaway to get inspired for her Bronte book. 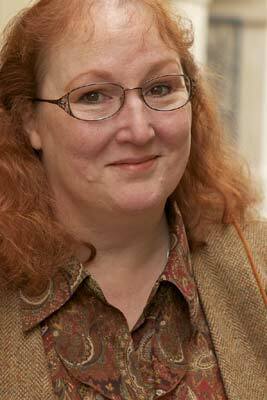 Katherine spent her career as an editor before venturing into writing. 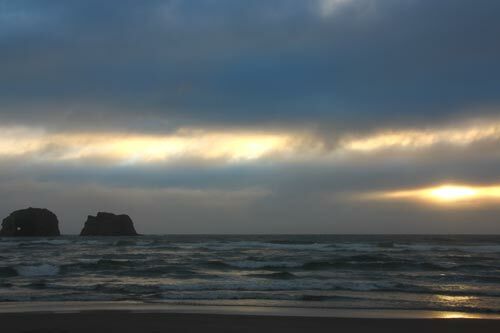 The setting of Crime with the Classics was inspired by her annual writing pilgrimage to Rockaway Beach on the Oregon coast. Katherine makes her home in the redwoods of Santa Cruz County with her husband, the youngest of her four children, and two obstreperous cats. When not reading, writing, or editing for her day job, she can generally be found knitting while watching British mystery series or singing in the choir at St. Lawrence Orthodox Church.